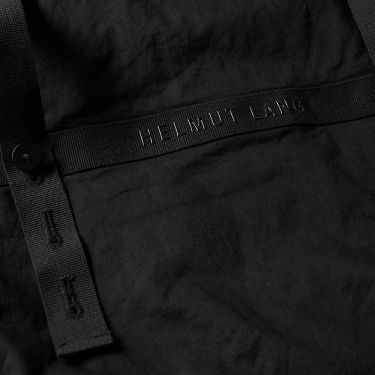 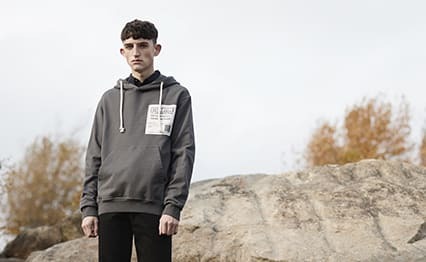 Helmut Lang's minimalist, almost brutalist style has garnered the label a cult following since its conception in the late eighties. 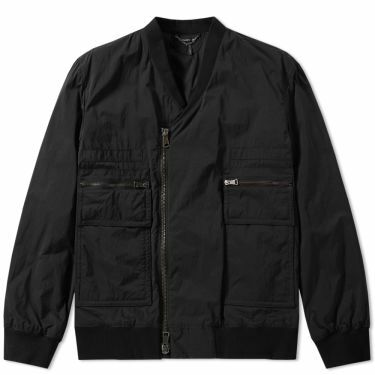 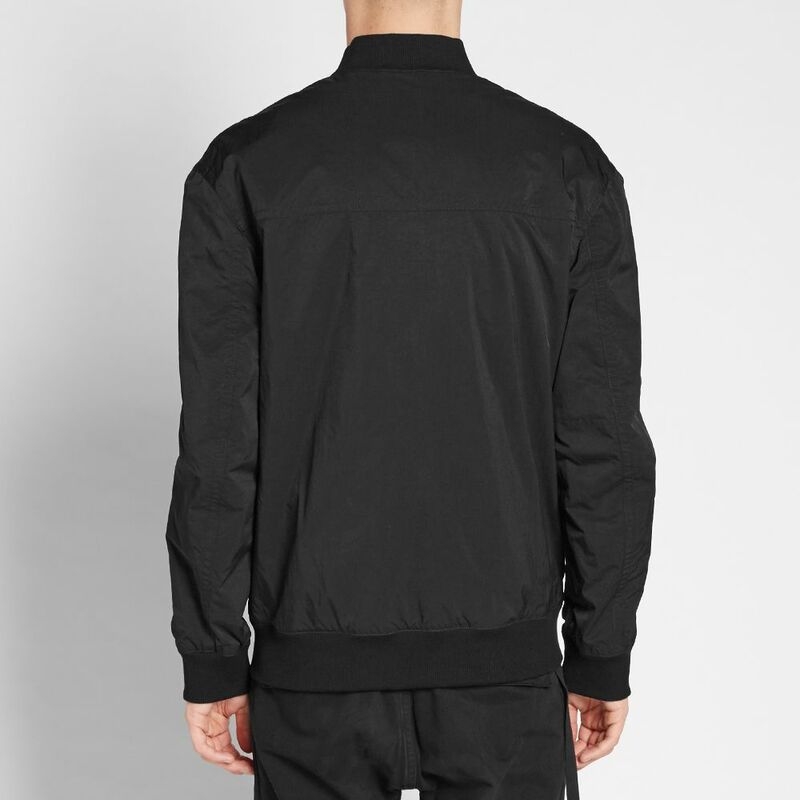 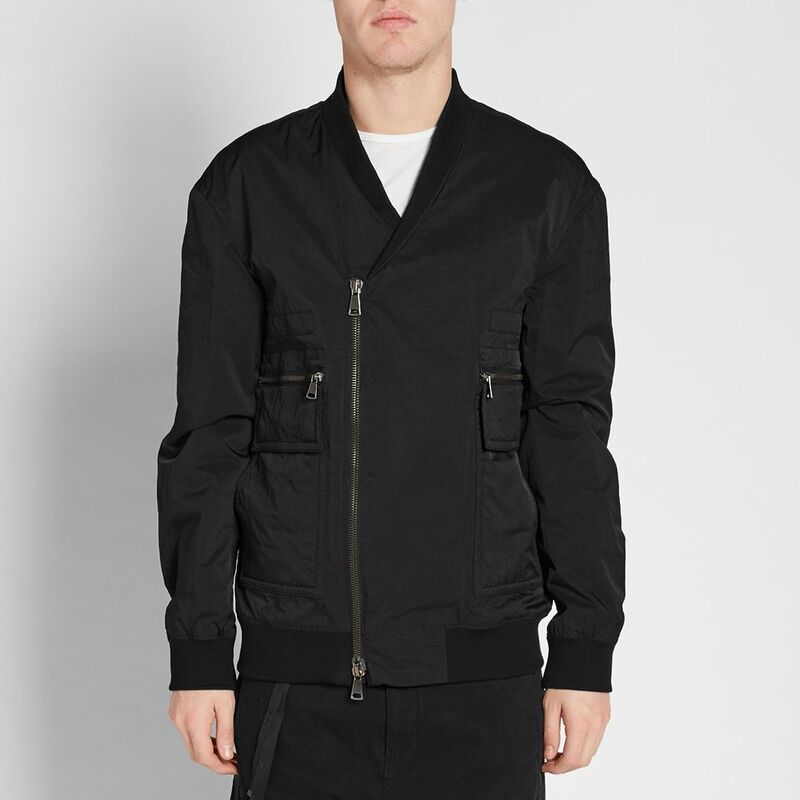 Offering a subtle twist on the bomber jacket, Helmut Lang cut this iteration with a crossover design to the front with two-way zip closure. 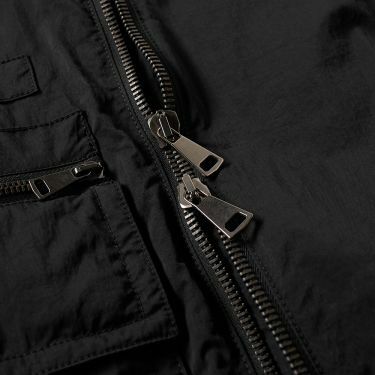 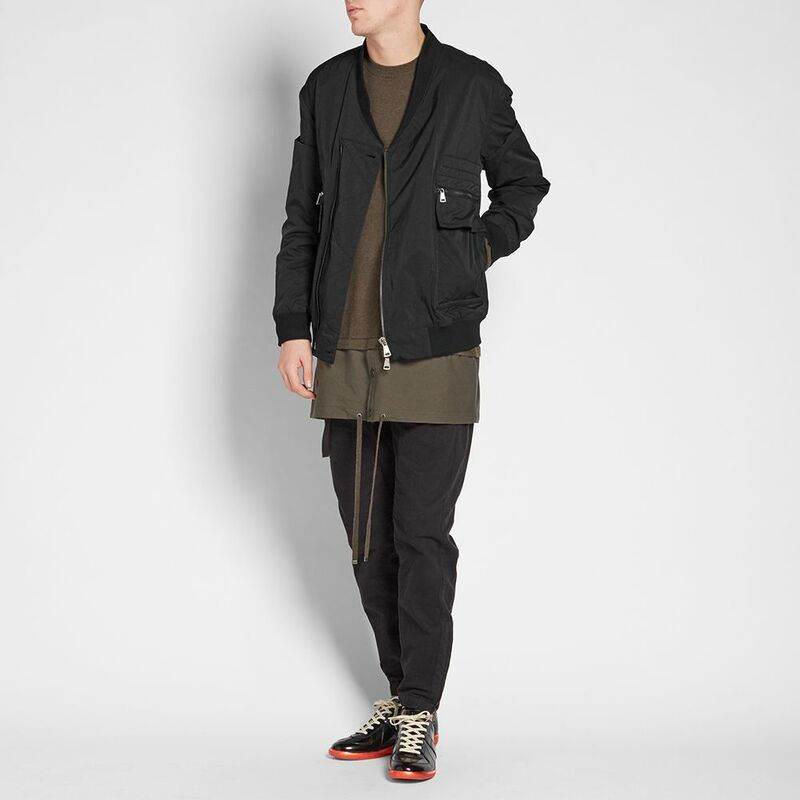 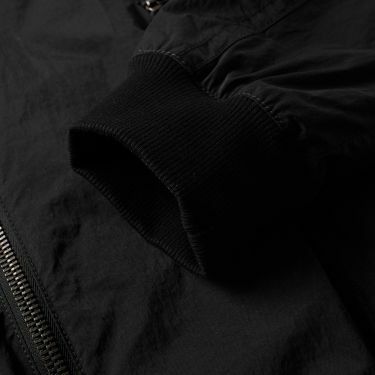 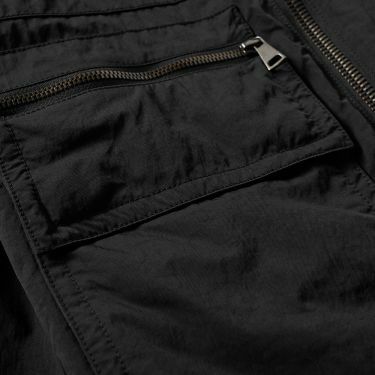 The jacket's front is completed with zipped pockets and tonal military-inspired patches to the chest.